Try to take a look at the situation from another perspective, put yourself in the position of the clients. Check the amount of damages caused by the failed advertisers campaign. In this way, you will gather a more clear view on the seriousness of the situation. The creation of a plan for future actions will come in hand. The skilled expert will use the one minute of fame, in which the campaign is the main topic among people, and will take advantage of it. This kind of moment is as crisis as suitable for image reconstruction. In some way, it is good to look at things from the bright side – at least the advertisement has gathered public attention. Often, the main reason for failure in marketing is caused by incorrectly transmitted and/or received messages. In such crisis situations, the method of silence is generally considered to be unsuccessful. It is important to constantly inform your customers and users about what is happening. It is good to make a public statement in which the brand should explain its true intentions and end any controversial opinions on the subject. Every story has more than one side - share yours. 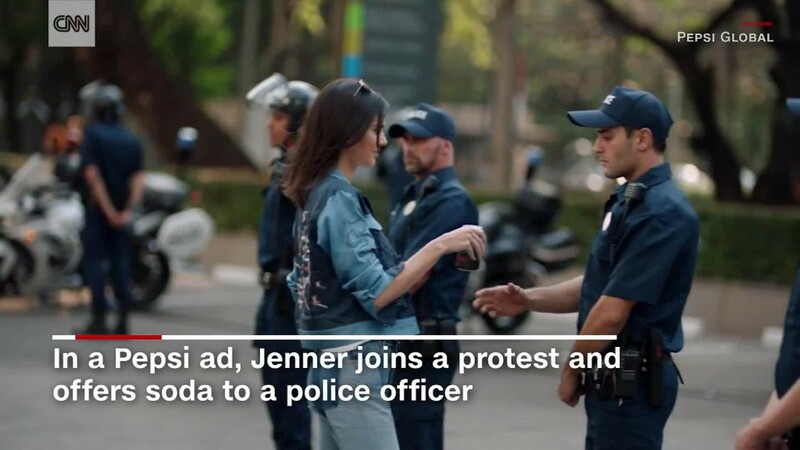 Here is what Pepsi did after the aforementioned communication crisis. They used social networks to make an apology. Realize, that it is not the end of the world, it’s just a small obstacle on the road to success. Many organizations choose the following tactic – they look at their omission from a humorous point of view. That way you are showing that you are stronger than what has happened. It is important to be able to laugh at your mistakes in order to confirm that they are not your weaknesses but opportunities for improvement. Still, take a lesson and learn to predict fatal moments. The preparation of new project is the most important part. It must be so stunning to erase previous memories of the audience about the fail. A brilliant example of this is Samsung, which last year became known for the problematic Galaxy Note 7, which was banned from the board of many airlines. To clear their tainted reputation, the giant handed out the Iberia 051 passengers a piece of the latest Galaxy Note with the words: “A year ago we asked you to turn it off. Today, we welcome you on board”. The team of Samsung has made a team building which is held in the form of a game called “Build a Boat!”. Yes, the name itself gives us a clue. This is an untypical occupation that definitely will strengthen the team. Of course the whole process of building boats is not nessacary. You can try with chairs, tables or anything else that you want. You can also raise a level and use the made boats we build in a yacht regatta. This exercise is great for enforcing qualities like creativity, skills and speed! This is a cool program which the employees will exit exhausted, but happy with the result! The worldwide famous company Amazon organizes the most different team building games for its team like paintball, horseriding, archery, rifleshooting, offroad carting. Another interesting global example is the international hotel chain – Hilton. They organize different games and challenges for their employees. For example they separate the staff in two teams in a beach volleyball match and also organize cooking competitions for creativity, presentation and taste and make movie shows outside – in the screen, around the pool with many popcorns and summer cocktails. The offices of Google all over the world are dreamy places for everyone. Team building there is a workstyle. In this way employees can always feel good – physically and spiritually. The offices have a gym, pool table, Lego, electronic games, betting games and even beer! Furthermore, there are masaage rooms and chairs, a special soundproofed musical room, a room for yoga and meditation, and a room to chill out and take a nap for example! [gallery link="none" columns="2" size="post-thumb" ids="1069,1068"] The office should not be a boring place, but a generator of ideas! Our office is an example of a place where work and entertainment meet each other. We call our room a “creative room”, because it’s a space in which we make meetings with clients, make a quick brainstorming and go there when we want to relax, and sometimes we even gather together and drink wine after work! The team building is an investment in the future. Don`t be afraid, start building yours! Almost 20 years after the beginning of 21st century, the technological progress of mankind is more than remarkable. Virtual Reality, Modernization in Social Networks, Sensor Software, 3D Technology, Hologram Projection, Robotics… All this exists for our sake. Does this facilitation have any negative impact on us? We got used to seeing something new every day. Internet shows us that surprises wait for us at every corner. Having the opportunity to get in touch with a friend at any moment, or to understand what's happening in any country in the world, has become something normal for our daily lives, but that has its consequences. Thousands of online or web chat capabilities are available to each of us. This communication is first of all convenient, but also inaccurate and infectious. When we communicate in person our face and tone help us to express ourselves as best we can - we make gestures and change our intonation. So we really communicate with the person infront of us, show him his emotions and attitude to the topic we are talking about. This is exactly what is missing in online communication. Many of my friends prefer to use chat or online dating and often say that the lack of face-to-face conversation does not matter because it is a small part of the whole process of communication. But in my opinion one manages to express himself and his point of view through the use of nonverbal language. Yes, a chat or skype conversation from time to time wouldn’t hurt, but given the 21st century's everyday life, social networks are part of everyday life. This leads to an accumulation of information that makes daily expression of emition difficult. I think this is one of the leading factors that the number of young people with anxiety and depression today is record-breaking compared to 15 years ago. The reason lies in the fact that we grew up in the technological era and that this kind of communication has become our main way of self-expression. A problem for the current young generation is the fact that young people carry online communication in our day-to-day conversation with others. In our relationship with others we act "on the model of social network” – we use short sentences without visual contact and limited gestures. In my everyday activities I often encounter many people, whether in the bus, in the queue in the store, in the waiting room of the medical establishment and many other places, and in most cases, I witness their conversations. In many cases I sense that the listener has not fully understood the speaker. This happens often to you, doesn’t it? What a paradox! In the age of digitization and technological communication, with the ability to connect with anyone around the world communicating with others is more than inefficient, incomprehensible, and even unsatisfactory for ourselves. Despite my age I realized that reality for everyone is different, everyone lives in their own world, and the way to touch the other is mainly through eye-to-eye contact. I believe that dialogue is the way to change what surrounds us - to understand one another, to express your point of view, to lead a real conversation, to connect different worlds. That's why I chose to study PR. Three years ago no one even imagined using the words “Trump” and “President in one sentence.” Today this is a fact – Donald Trump is the next president of the United States of America. Many people are shocked and don’t understand how this is possible. It is really simple. After all Trump had a genius PR strategy and Clinton didn’t. Whether or not we like Trump we can’t deny he is a phenomenon. He says and does things we would never expect and he always managed to surprise us. We shortened his PR campaign to its key parts. Those are the most important aspects of his campaign. Relations with People Emotional Appeal Byhisbehavior Donald Trump unlocks the primitive side in his voters. He affects them on an emotional level by playing with their strongest emotions – fear and anger. It is not a coincidence that the themes he doesn’t stop discussing are uncertainty, threats and war. Being direct Trump doesn’t speak veiled. He says things in a way that everyone can understand them. He uses simple words that clearly show his intentions. You may not agree with his ideas, but you sure understand what he is saying. Right targeting From the beginning he knew who his target group was and never lost focus from it. His target group was white male men, who think that “the regular American citizen” has lost his power. His whole campaign was based on this idea, namely – “Make America Great Again!” Media presence He managed to promote his message cheap and easy just because he understands how media works. By every one of his statements he conquered the media space. He gave interviews constantly, regardless if as a host in a TV studio or after a Campaign Tour. ARoitersResearchshowsthatheearnedmediapresencefor about 5 Billion Dollars for free. In contrast Hillary Clinton managed to achieve less than half of his. Image A Man of the People Trump uses every possible occasion to emphasize the differences between him and Clinton. He not only let her create an image of a more skilled candidate, but he also pushed her into making this her image herself. In this way he presented himself as a “A Man of the People”. Donald Trump managed to separate two teams. The first one is the Political parties, the Government, the Media and Clinton. The second one is him against everyone else. Successful businessman Paradoxically he simultaneously presented himself to the voters as “one of them” while everyone knows he is a Billionaire. He is rich, successful, risen from the working class – image that wins votes in the culture of American capitalism. Popular Despite being criticized for his experience in Reality Shows, this gives him an insight in Television. It is still debated if Nixon lost the Race in 1960 because of his worse performance in front of the camera in comparison to John F. Kennedy. Trump knows how to escape the “traps” that are placed and how to promote himself. Independence Distrust in institutions The biggest accusation to Clinton is that she is dependent and corrupt. He however claims that he isn’t connected to institutions. Inthelasttenyears the American citizens have lost faith in institutions. According to a research conducted in 2015 only 19% of the questioned Americans trust their Government. This applies also for the media – people’s trust in media weakens every year. A Gallup research conducted in 2016 shows that only 36% of Americans believe in what is written in the press. While Clinton has around 95% of the press (incl. the most prestigious) on “her side”, Trump cleverly uses that as his advantage and as a confirmation for the bias and elitism of the media. The Struggle between Elitism and Populism Trump has prepared his “homework” well. A problem that exists in American politics since the 1960s is elitism in the Democratic Party. And what better way for elitism than the “Clinton Clan”. Despite every sociological research and public opinion, Trump managed to win the elections even with fewer votes than his opponent. He won the same way he led his campaign – unexpected and paradoxically.